Join us this week as we welcome Americana music singer songwriter, Eddy Mann. Hailing from Philadelphia, PA., Eddy is a musician, songwriter, worship leader, teacher, speaker, coach, husband, and father. Whether you know him as one or more of these people, you know his heart; you know his love for life. Though his past has been playful and colorful at times, it also has been constant in its vision. It's always been a vision of hope, peace and understanding through the eyes of a loving heart. Eddy's led worship for over fifteen years. As a musician and songwriter it was twenty years ago that he made the decision to offer his creative gifts to God. Since then he's released seven CD's and written countless songs for the church and world at large. On any weekend you can find him in a coffeehouse, in concert, at a conference, and/or leading worship. A new album, The Consequence, the follow up to 2014's "Dig Love", is currently wrapping up sessions at this writing. It once again touches on the theme of a peaceful and loving existence, while delving into the the consequences of our actions. Musically it continues down the path that "Dig Love" charted staying close to the americana, roots rock, and singer-songwriter traditions. Look for a fall 2016 release date. We will talk to Eddy about his upcoming schedule, get a behind the scenes look at his music, feature his latest songs, and ask him to share his message for the troops. 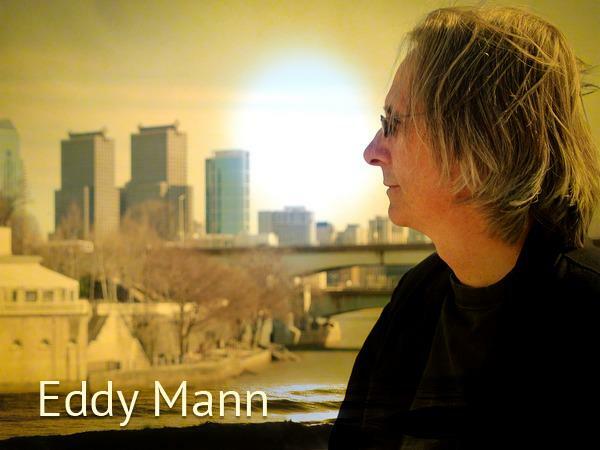 Please be sure to visit Eddy Mann at http://www.eddymann.com/ and spread the word. Fans are welcome to call in and speak live with Eddy during the show (718) 766-4193. And as always we will give shout outs to our deployed military listeners. Our message to the troops: WE do what we do, because YOU do what you do.